$125 off with 5 boxes in your shopping cart! This product is perfect for the majority of fillers/fat injections. The inner lumen is extra large for a better flow and less clogging. 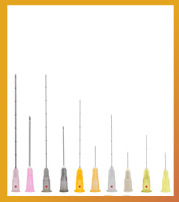 The cannula has gradation and a red orientation locator for extra precision. This product is perfect for the YLIFT procedure! The cannula is more rigid making vertical injections a breeze! The cannula has no gradation and no orientation locator. 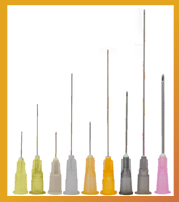 Award winning Easy Guide for faster and better injections. Faster procedure and better healing. Packaged with our handcrafted 27G or 25G precision microcannulas. FDA approved and legal for sale in the USA, CE and ISO 13485-2003 compliant. THIS MONTH SPECIAL COMBO: BUY 4 BOXES ANY SIZE GET 1 FREE!